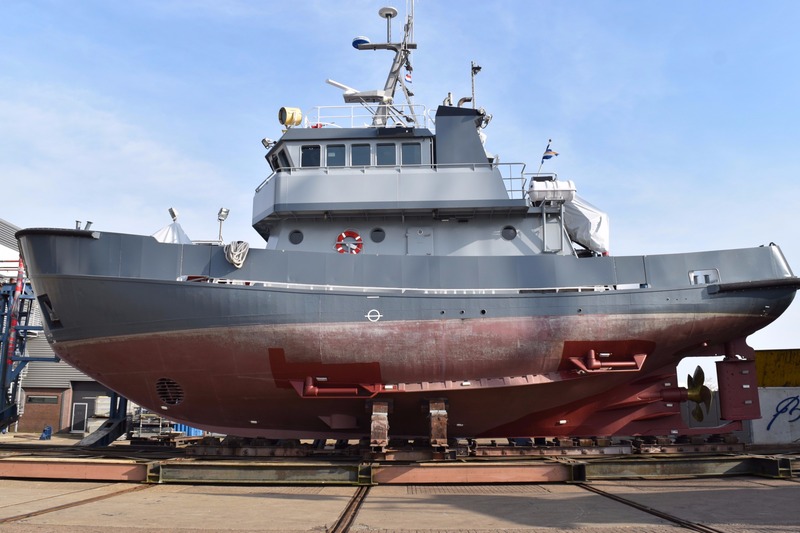 As a result of the cooperation between DMS Holland and Balk Shipyard – with Balk Shipyard being DMS’s first official installation facility in Europe – we are proud to announce that MV Astra is the first vessel that has been launched after installing the MagnusMaster stabilizers at the Balk Shipyard premises. Built in 1994 and with a total length of 24 meters MV Astra is a real tugboat of 170 tons built under ice class and has been used as a rescue service vessel for many years. Even after being sold to her current Swedish Owner her ice breaking services were used several times. First of all, let us clarify the difference between traditional fins and the MagnusMaster stabilizers. The MagnusMaster stabilizers are a fully electrical driven, non-hydraulic roll damping system for yachts and vessels up to 30 metres. Instead of traditional fins, the system uses rapidly rotating cylinders which generate an up or downward pressure. The biggest advantage of such a rotor system is the greater roll damping at lower speeds. MagnusMaster stabilizers features fold in rotors to a protected area eliminating the risk of damage. Besides this the rotors do not have any effect on the steering and therefore can be mounted at a position of choice. Astra’s experienced Swedish Owners was already appealed by these kind of stabilizers, as he installed a similar system of another stabilizing brand from a colleague a couple of months earlier. Unfortunately these stabilizers failed and Astra’s Owner was forced to look for another brand. 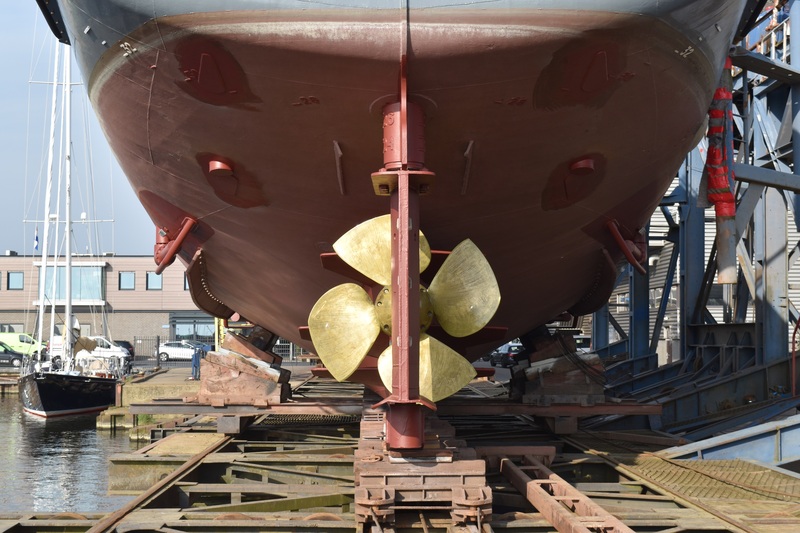 With DMS Holland as a suitable match for the engineering of stabilizers and Balk Shipyard as installing shipyard the MagnusMaster stabilizers could successfully be installed at the Balk Shipyard premises. The Owner stated, ‘Having been in the industry for over 40 years it is easy to recognize the high level of quality, professionalism and honesty behind companies. My first impression of the yard is that it is well-organized, there is an efficient workforce and their friendliness is very welcoming. After our sea trials the biggest change I have noticed is that I can finally leave my coffee mug on the table without spilling a drop and to open the fridge without eggs breaking all of the floorboards. So it definitely increased comfort as well as safety’. 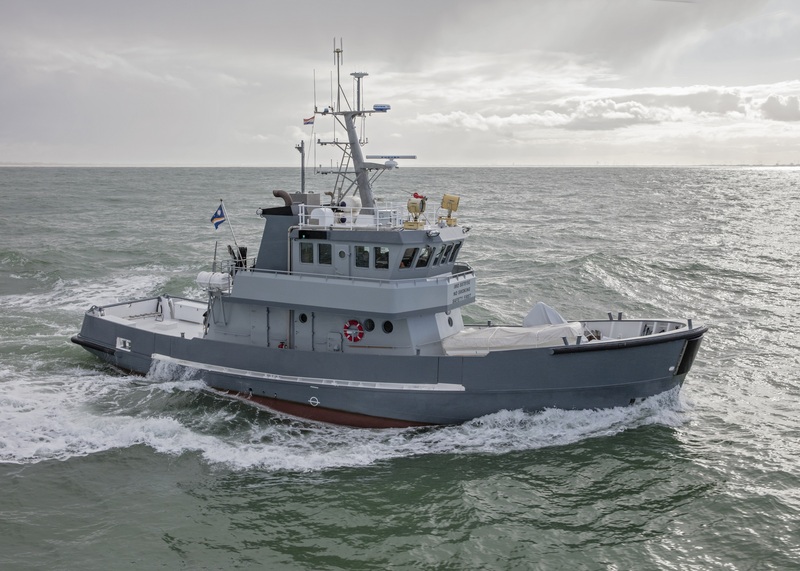 Both DMS Holland as Balk Shipyard are proud to have MV Astra as their first installation project. Daan Balk says, ‘I think the cooperation between the Owner, DMS and Balk Shipyard has been wonderful. Getting a heavy tug boat such as Astra – built under ice class – fully stabilized is a challenging job even more when a colleague failed to succeed. By succeeding it shows the industry that the MagnusMaster stabilizers are doing a magnificent job. The feeling of stability during Astra’s sea trials at rough weather shows a new way of stabilizing yachts and vessels’. Patrick Noor of DMS Holland quotes, ‘Installing the MagnusMaster stabilizers on MV Astra is a great example for yachts and other vessels that consider to change their stabilizing systems’.